Once among the most polluted lakes in America, a 4.5 mile long lake in Upstate New York is considered by some to be clean enough for swimming –for the first time in 75 years. 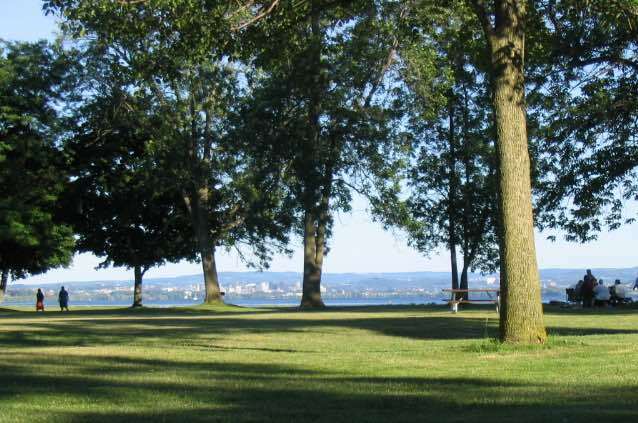 Swimming has been banned on Onondaga lake since 1940 because of industrial pollution and sewage, but with hundreds of millions of dollars spent on water treatment over the past two decades, the pollution has dropped dramatically. There still is no public beach, and officials warn people not to swim after big rains, because sewage runoff into the lake remains dangerous. UPDATE, August, 2015: New article about swimming demonstrates mixed reviews.